THE SAFER MONEY SOLUTIONS SHOW AND Ronald Grant “the Original Safer Money Specialist” Will educate you on how to stop paying your financial planner\stock broker, 401K and 403B companies fees that take away from your returns all will protecting your principal and the gains and receive a guaranteed Lifetime Income that you can’t out live. 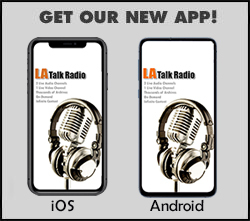 Tune in every Wednesday right here on LA TALK RADIO. COM CHANNEL 1 at 12 NOON!